U.S. Navy ship fires warning shots at Iranian boats near the Strait of Hormuz, the latest in a series of similar encounters. A U.S. Navy ship fired warning shots at Iranian boats on Sunday near the Strait of Hormuz, American Defense officials said Monday, according to CNN. The incident occurred as five Iranian vessels approached the USS Mahan and two other American ships that were entering the strait, according to accounts from four sources. The Mahan, a destroyer, fired warning shots and used radio calls, flares, bells and whistles to signal to the ships to stay away, according to CNN. There was no response to the radio calls. A U.S. helicopter overhead dropped smoke grenades. Pentagon spokesman Capt. Jeff Davis said the boats came "within 900 yards or so" of the Mahan. "It's somewhat out of character, recently anyway, from what we've seen out of Iran," he added. The incident is the latest in a series of encounters in the Gulf between American and Iranian ships. Referring to the past encounters, Davis said there had been "a total of 35 in 2016 that were assessed to be unsafe and unprofessional," and he added that "the vast majority of those were in the first half of 2016." "We had a significant number of these before, they had largely stopped except, you know, this incident and in August seemed to be one-offs," he continued, according to CNN. 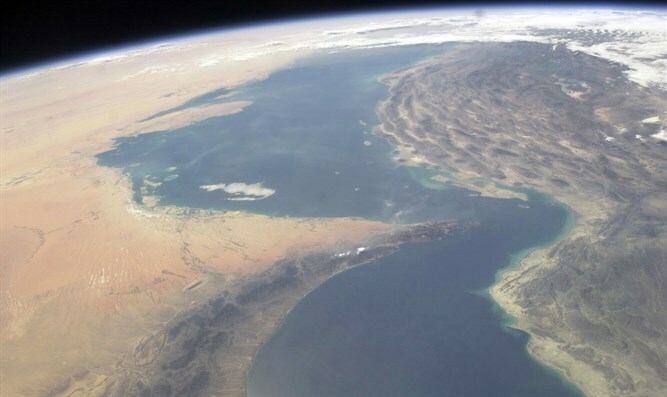 The incident began with a routine shadowing by one regular Iranian navy ship as the three ships began to enter the strait toward the Persian Gulf. Four small inshore attack crafts began harassing the U.S. ships, with six separate approaches by the Iranians over a nine-hour period, essentially the whole period of the transit, sources said, according to CNN. The approach was at 15 to 20 knots and if not stopped at a distance of 500 yards or more could have been dangerous for the U.S. ship, the sources said. As a result, defensive measures were taken.